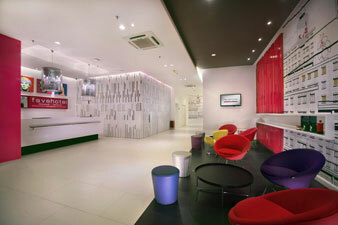 Jakarta, February 24 2014 – favehotel Melawai Jakarta is the latest addition to the ever-growing hotel brand. Surrounded by several shopping malls, government offices and wining and dining destinations, the hotel is set to become a comfortable and convenient base for savvy travelers. 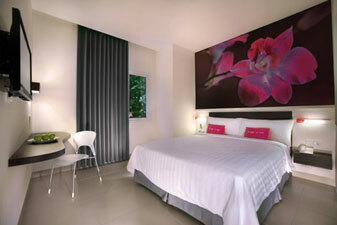 Set within the most happening area of Melawai, the hotel is situated just around the corner from the main street, Jl. Melawai 4, which has long been a hit with younger city dwellers. The hotel sits in the very heart of Block M inside Block M Square, Jakarta’s famous Japanese enclave known as “Little Tokyo” that teams with an excellent range of shopping options and thriving nightlife. Shopaholics can also enjoy the larger and more exclusive shopping outlets at the nearby Pasaraya Grande. The hotel will feature 101 stylish guest rooms complete with complimentary high-speed WiFi throughout the entire hotel. The rooms are modern, functional and super clean offering cutting-edge LED TVs, security key card systems, air conditioning, in-room safes and top of the line Serta beds with high knot count cotton linens. In line with the signature favehotel experience, favehotel Melawai Jakarta continues the brand's reputation for first-class facilities in an affordable hotel. Renowned as Indonesia’s Best Budget Hotel Chain having won multiple awards and accolades, favehotel Melawai Jakarta will feature typical favehotel amenities such as stylish function rooms, an innovative restaurant and complimentary high-speed WiFi. Business travelers can also make use of the 3 modern meeting rooms and ample parking space, while the all day café-shop is a quite spot for light bites and casual coffee breaks. Lobby of favehotel Melawai – Jakarta. Room of favehotel Melawai – Jakarta.